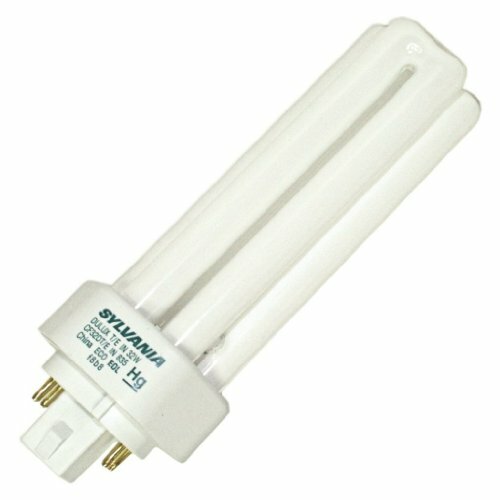 Sylvania 20885 DULUX 32W triple compact fluorescent amalgam lamp with 4-pin base, 3500K color temperature, 82 CRI, for use with electronic and dimming ballasts, ECOLOGIC. The amalgam feature provides improved lumen performance when lamps are operated at elevated temperatures. The delta tube configuration provides radial symmetrical light distribution.